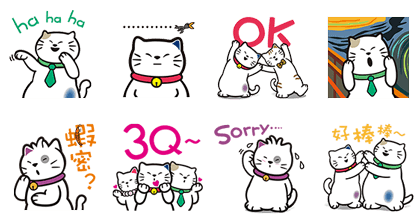 http://www.line-stickers.com/ – E.SUN Bank Lucky Cat Line Sticker | E.SUN Bank Lucky Cat stickers are now available on LINE! With cheerful smiles and interesting expressions, E.SUN Bank’s Lucky Cat will bring you joy and luck and make you smile every day! 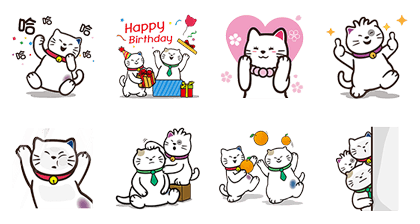 Friend E.SUN Bank’s official account to get the stickers. Celebrate the 25th anniversary of E.SUN Bank with E.SUN Bank Lucky Cat. 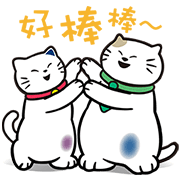 This fortunate feline is sure to bring you joy and luck and make you smile every day! Friend E.SUN Bank’s official account and get the set for free. Available till February 23, 2017. Next post LINE TODAY: Extra, Extra!